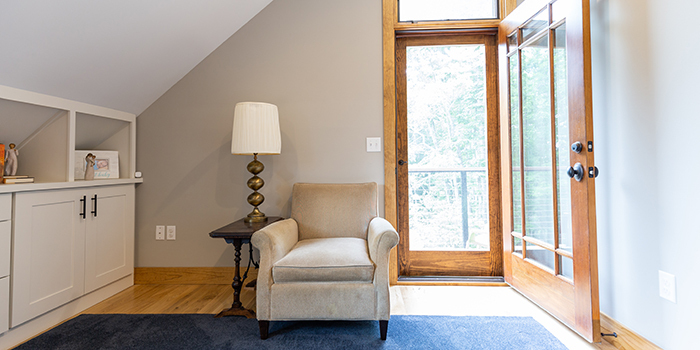 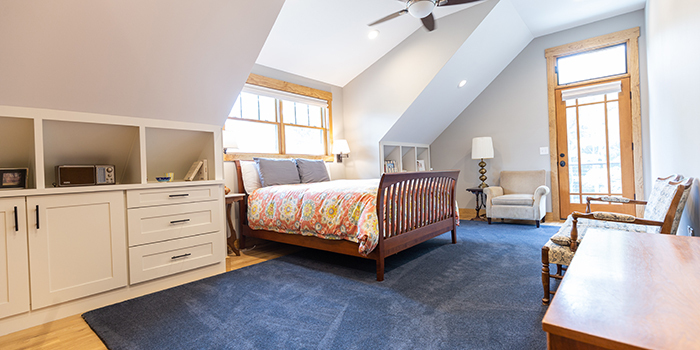 Sugar Hollow transformed an unused and awkward upstairs area with limited natural light into a spacious master suite with built-in bookshelves and dressers. 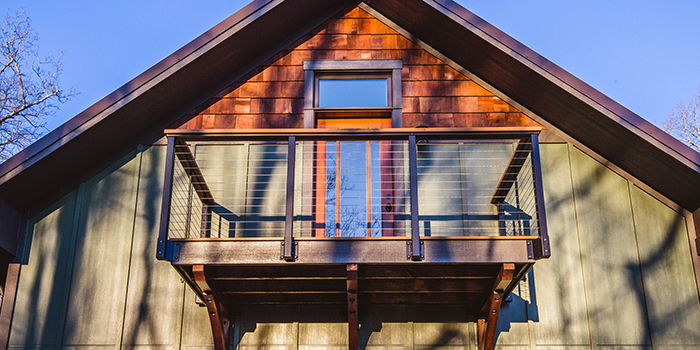 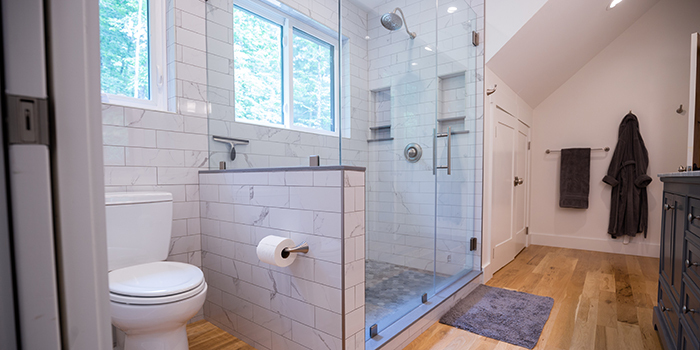 custom doors and windows, a balcony, and a brand new bathroom with a custom glass shower. 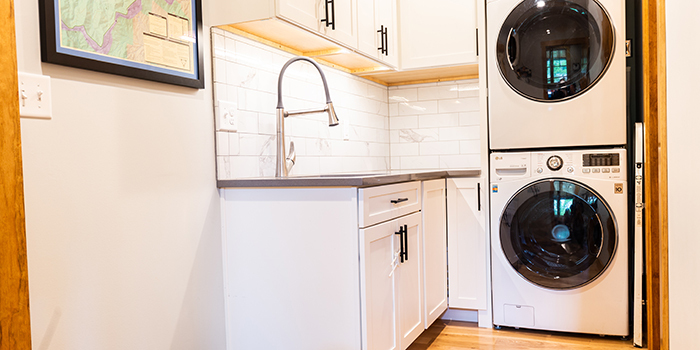 Downstairs, they also updated a cramped mudroom/laundry room with quartz countertops and custom cabinetry to maximize usability and provide ample storage.